March 22 marks International Seal Day, a day the whole world should celebrate in earnest! To mark this momentous occasion – which should really see us all laze about in the sun, feeding on sumptuous sardines – we share 15 Fun Seal Facts. The clowns of the marine mammal world, seals are a comical bunch of incredibly interesting creatures. For some, like yours truly, they may seem like a ‘spirit animal’. They spend most of their days lazing about, sunbathing in some of our planet’s most incredible places – like Antarctica, the Galapagos Islands and Peru’s Ballestas Islands – they are majority blubber (which helps against the cold, you know) and feed off sumptuous seafood. Could life get any better, we ask? 1. Seals are part of the pinniped order of marine mammals, which also includes sea lions, walruses and fur seals. There are 33 species of pinnipeds in the world and all are believed to have evolved from once terrestrial otter-like creatures. 2. Seals prefer cold sea waters and are primarily found in the Arctic and Antarctic regions. 3. In the wild, seals can live for up to 30 years with females boasting a higher life expectancy than males. 4. 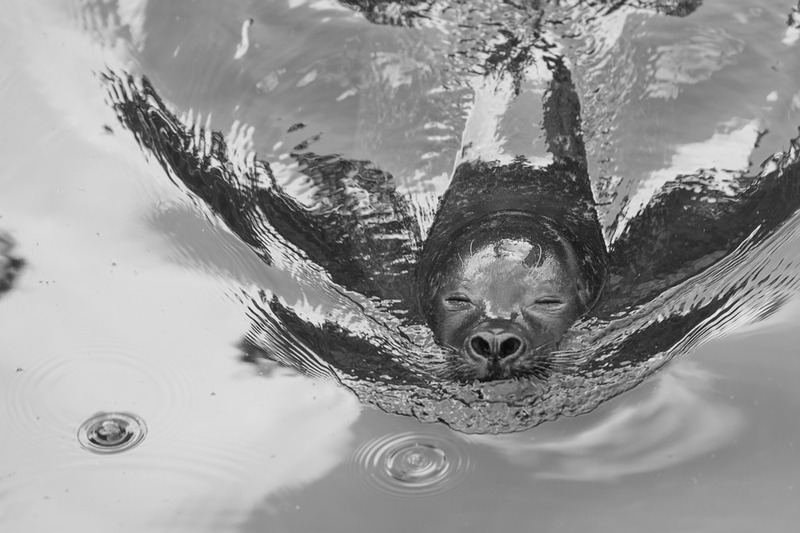 The smallest seal species is the Galapagos Fur Seal (1m in length and 45kg in weight) whilst the largest is the Southern Elephant Seal which weighs a whopping 3,850kgs and measures up to 5m in length! 5. Some seal species, like the Leopard Seal, feed off fellow seals! Most, however, feed off crustaceans, fish and seabirds (if they can catch them). 6. 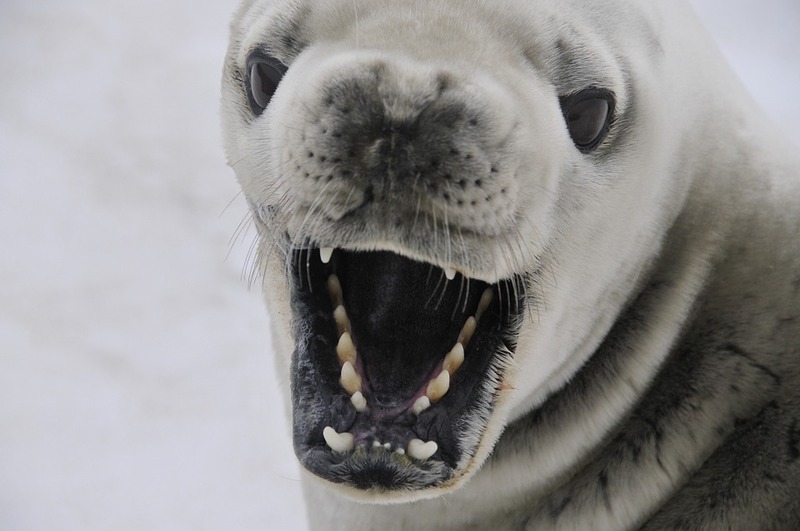 The Crabeater Seal, which can be spotted on an Antarctic cruise, boasts the largest population of all the seal species. Estimates put their numbers at between 2 and 75 million. individuals, worldwide. As cute and friendly as they may look, seals can actually be fervently territorial and quite aggressive. 7. Seals can sleep underwater and usually only come on land to escape predators like whales and sharks, as well as to mate, give birth, feed and moult. 8. Some seals can dive up to 900m in depth and some can hold their breath underwater for up to 2 hours! 9. 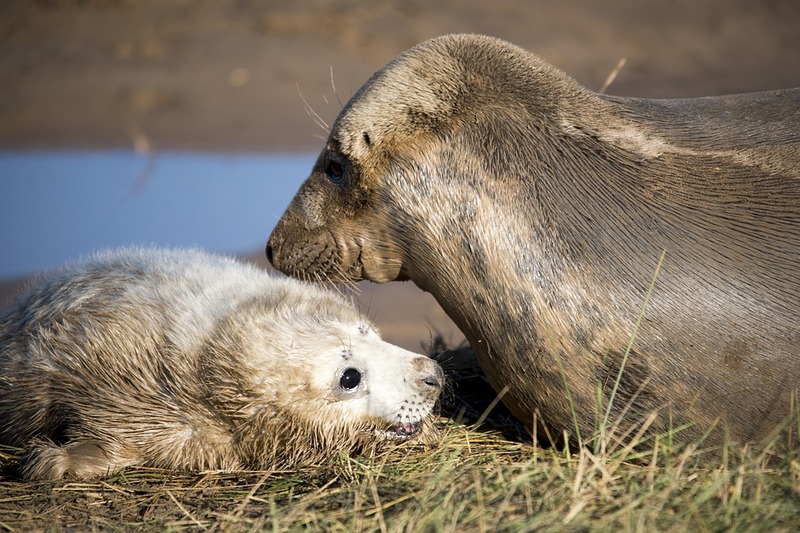 A seal mum’s milk can be up to 50% fat, and pups can put on 2kgs a DAY. That should make you feel a little better about your Christmas and New Year calorific splurge! 10. 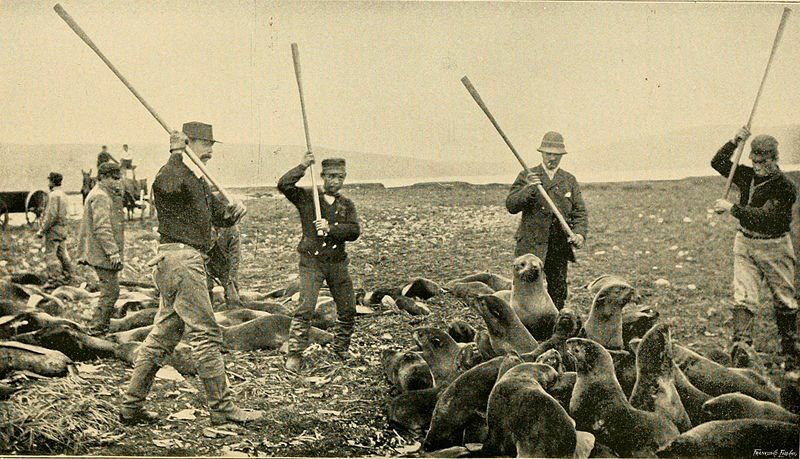 Seals have been hunted throughout history, with their fat and fur being highly coveted. 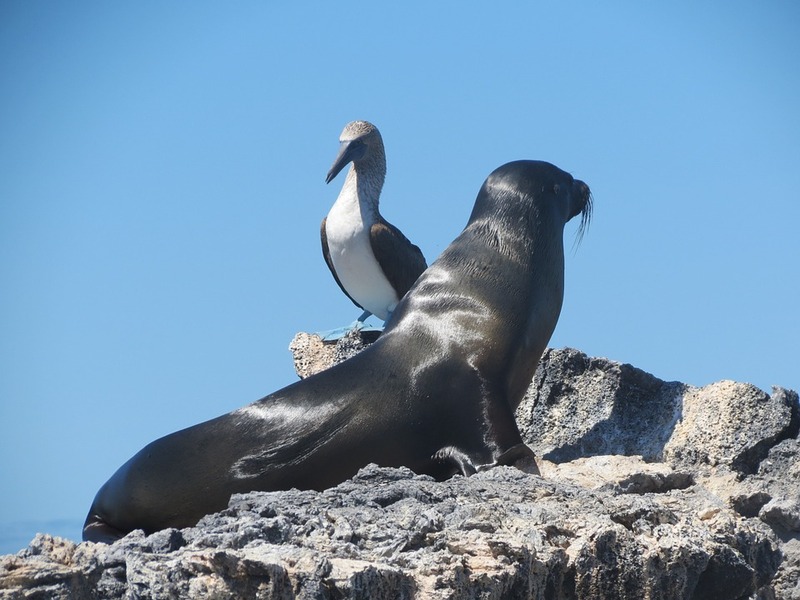 Although a great majority of species are not endangered – the Galapagos Fur Seal is one of the exceptions – seals are still a highly protected mammal in most parts of the world. 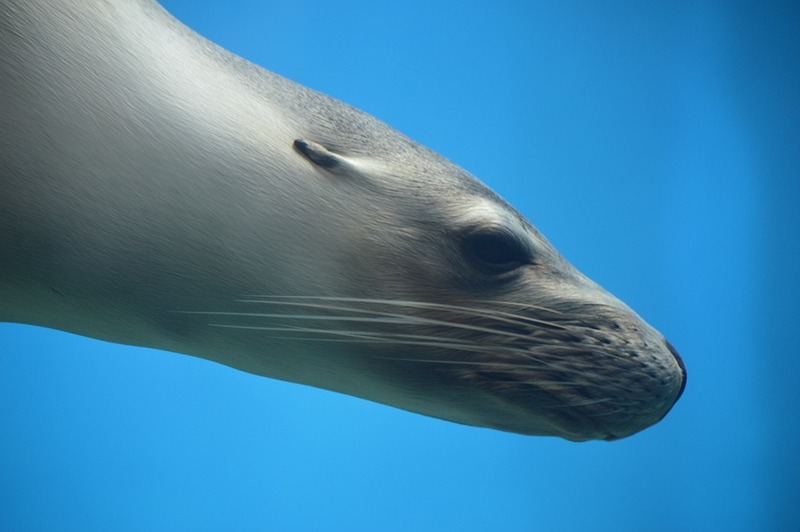 Ove the last century, various species have gone extinct, including the Caribbean Monk Seal and Japanese Sea Lion. 11. In Antarctic waters, there is a restricted amount of seal harvesting still being allowed. The main species hunted are Crabeater, Leopard and Weddell seals. 12. In Gisborne, New Zealand, a resident elephant seal, named Homer, had an infamous reputation for hooliganism. He used to routinely overturn parked cars in town and once even knocked over a restaurant’s power supply box. Experts believed that Homer’s energetic ‘rubbings’ were actually ever-so-slightly misguided sexual advances. 13. Seals boast a gestation period of about 11 months, but the longest pregnancy in the pinniped family belongs to the walrus, which is pregnant for about 16 months. 14. Mother and baby seals recognise each other through a familiar call, with a study in Alaska finding that mum-bub recognition was possible even after a 4-year long separation. 15. A study in the Falkland Islands proved that alpha-male Elephant Seals are quite the possessive Don Juans. In one colony alone, over 92% of pups born at any given time were fathered by the group’s alpha-male alone and up to 72% of all other males in the colony, had NEVER been observed mating at all.